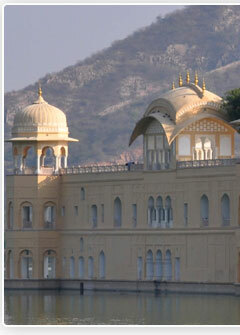 The fort overlooking the river Chambal is the foremost tourist attraction. 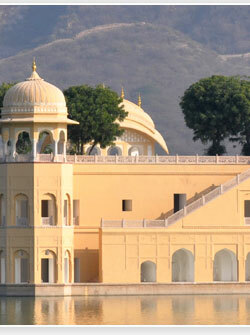 It also houses the museum with a rich collection of art and artefacts and some elaborately painted chambers. 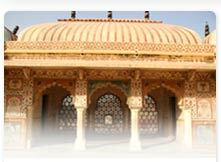 These temples were conquered by the Hada chieftain Rao Deva. 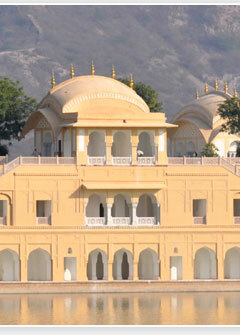 It was at the time of the Mughal Emperor Jahangir that Rao Ratan Singh gifted this territory to his son Madho Singh. The Kota state reflects in the form of a beautiful collection of Stone Idols (murties) in the Raj Mahal, embellished with gold stained glass work on the walls, the silver mirror work on ceilings and the marvelous wall paintings. The Akh-Ade-ka-Mahal displays the regalia and paraphermedia of the state. 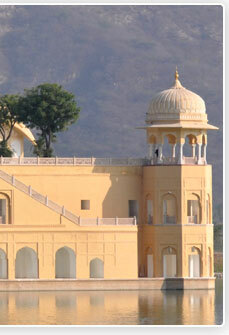 Besides there is, Badal Mahal (the private living quarter) with the Kota Miniature show casing into beauty. The paintings of various schools of periods set in glass on the walls, the ladies interactions echo in the Zanana Mahal worth a look. Other edifices of the by gone era are depicted in Brij Raj Bhawan Palace, the Jag Mandir an Island Palace and a splendid haveli (mansion) with beautiful frescos and royal cenotaphs. Kota today is well known for its dams and famous Kota Saris, woven in the nearby village Kaithoon, these are made of cotton silk in an assortment of colours, and delicate golden thread. Miniature paintings of the hunting scenes, portrays the forest, while attracted many of the royals and aristocrats who passionately indulged in this wild sport, announcing Kota as the Magic along the Chambal river.